In the morning we had a quick bite and then set off to find a bank or ATM down near the ocean as we had run dry after our pricey (but worth it) dinner from the night prior. 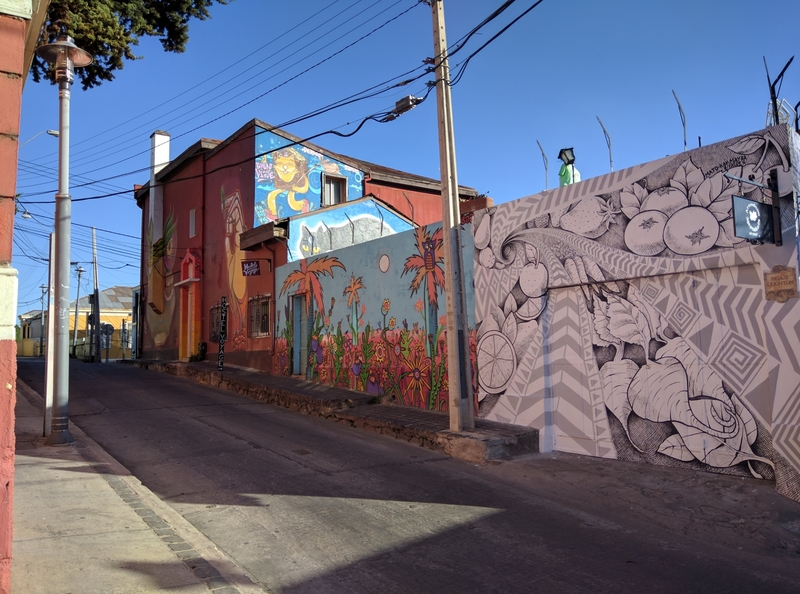 We took a slightly different route than we had yesterday and in the silence and calm of the morning found even more artwork and architecture to see. 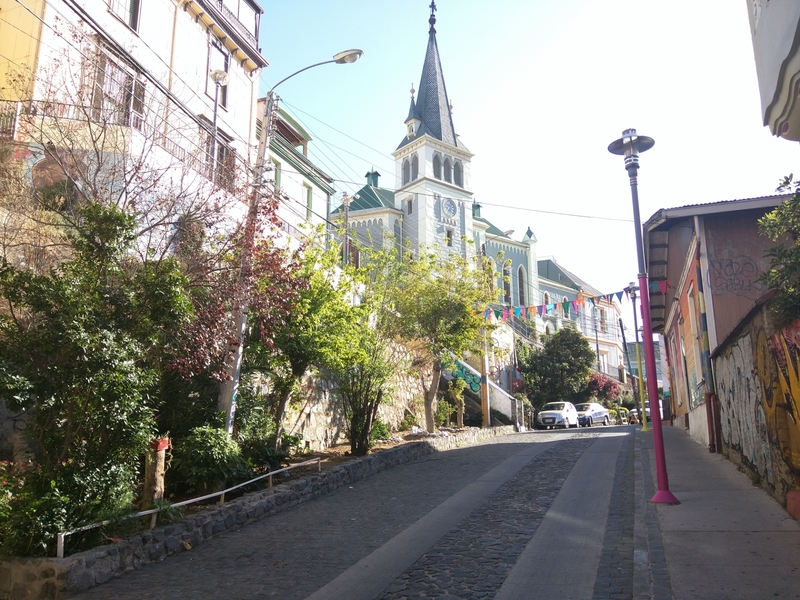 There was nobody else out in Cerro Alegre this early in the morning, which made us feel like the only people awake. It was weird but very cool at the same time to feel like the whole city was there just for us. Down near the waterfront we came upon Plaza Sotomayor and the business district of the city. 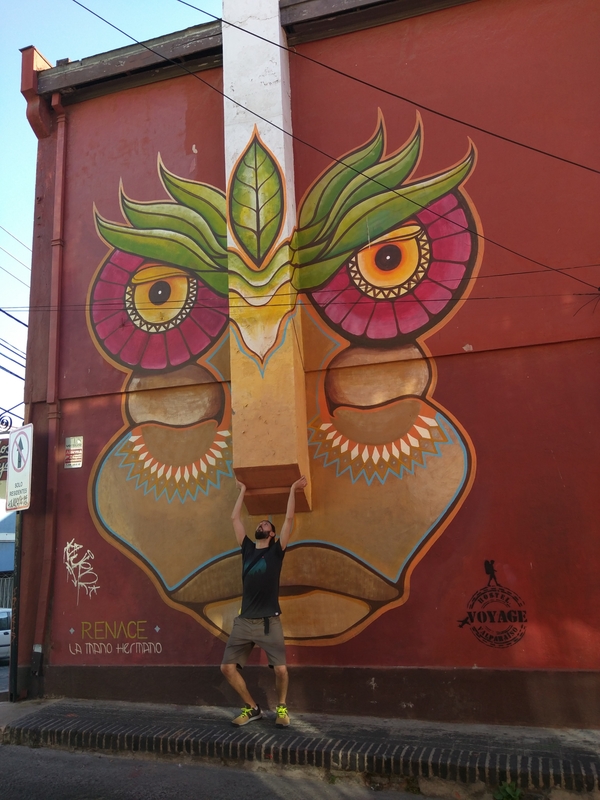 The buildings here are all old and colonial with pillars and statues masterfully integrated in the architecture, though they sharply contrast with the street level graffiti and shutter doors on everything. The stillness of the city in the morning was still evident, thought there were some locals going about and starting their weekend. 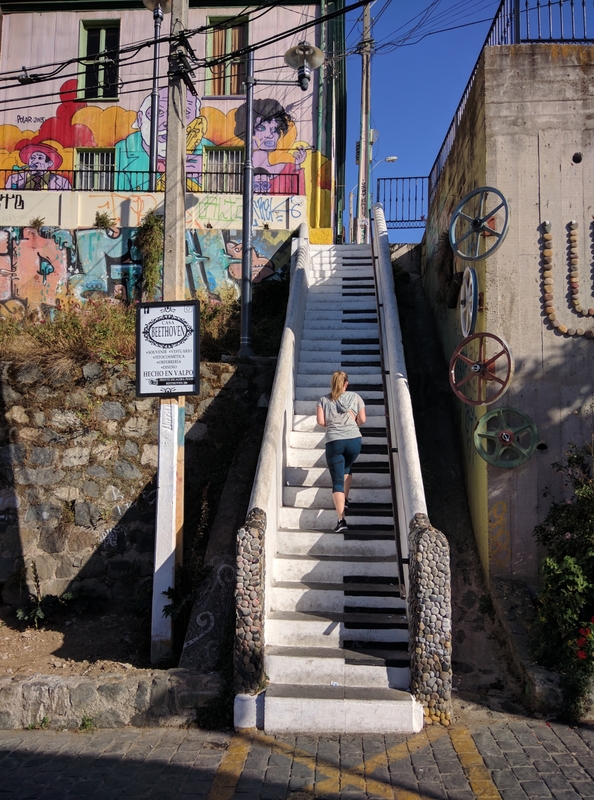 There wasn’t a lot more to see so we made the climb back up into Alegre and stopped in for a coffee and churros before returning to the hostel. 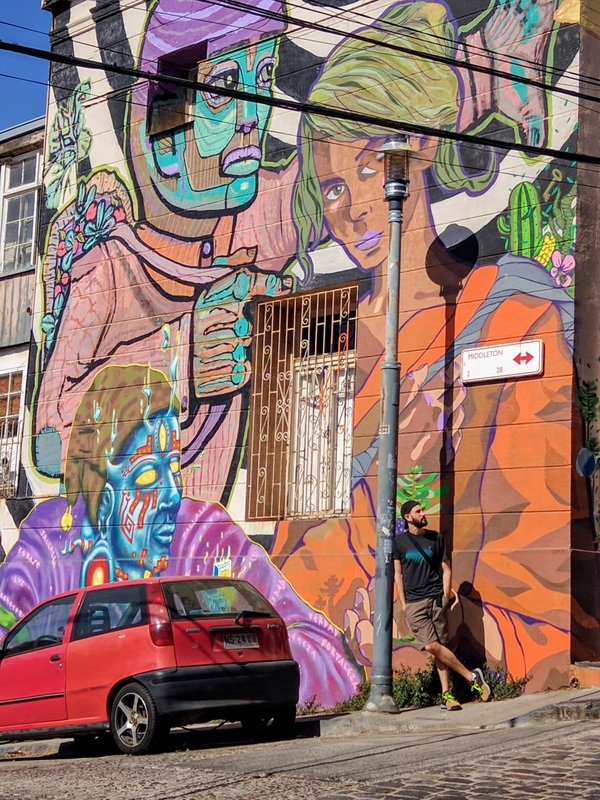 It was hard saying goodbye to Valparaíso, especially when we saw the immense market in the city center that had sprung out of nowhere, but we needed to be on our way. 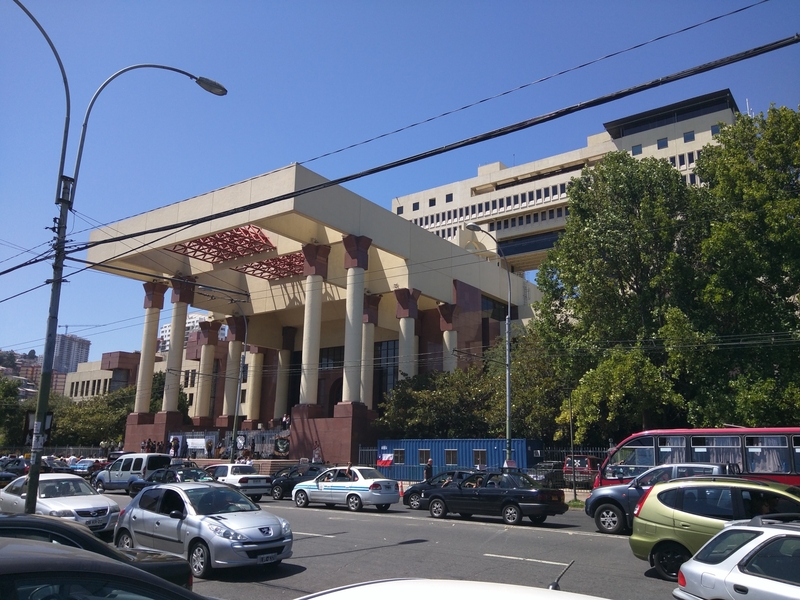 One last cool bit of sightseeing that our friendly and quite fluent cabbie showed us when we disembarked was the Congress building of the Chilean government. 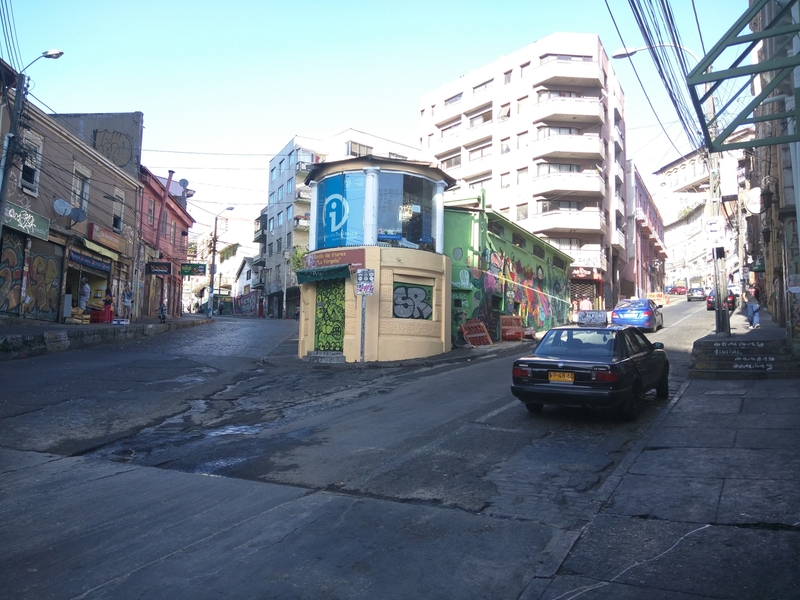 Chile has split its branches of government between Santiago and Valparaíso, though we did not learn of the explicit reasoning behind this mentality. On the bus trip back I doodled a bit, but otherwise things were uneventful. 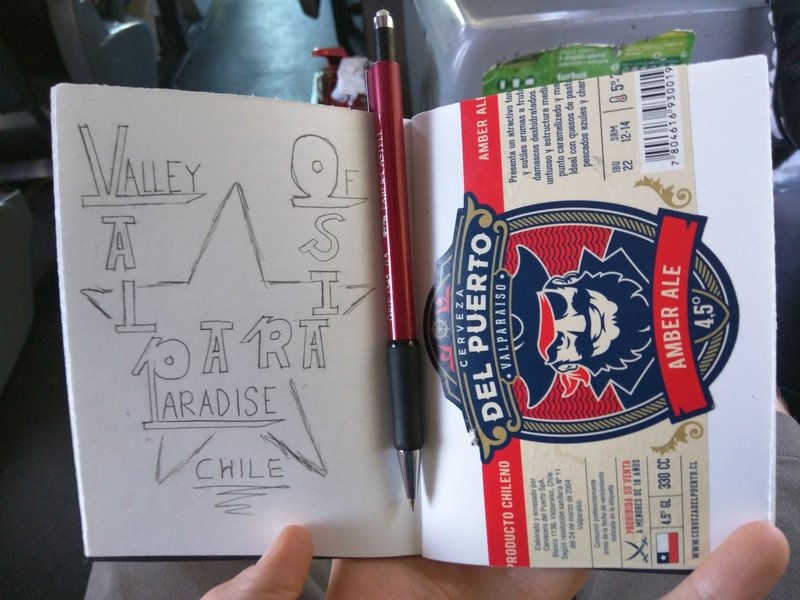 I also loved the beer label so much from yesterday’s lunch I had to keep it in my journal. 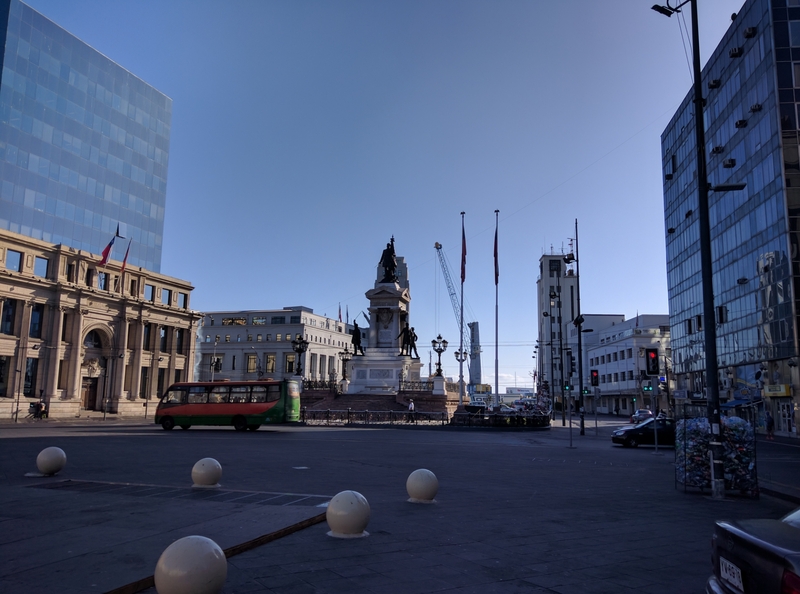 Back in Santiago, we caught the metro back to the same area of town as our second hostel, Providencia, was also nearby. 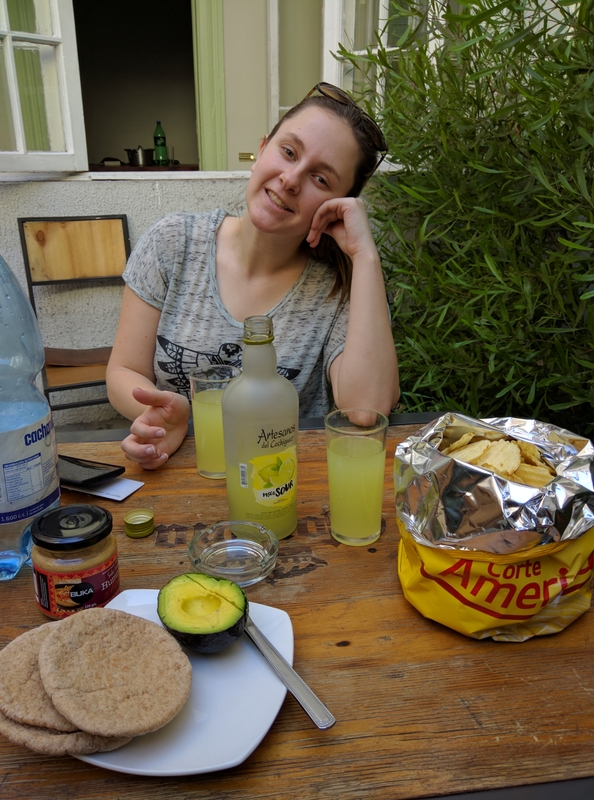 We found it and met up with some more of the group, grabbed some groceries, some wine, and some pisco and decided to “take it easy” at the hostel. We brought some chips to show everyone our new Israeli technique of the friendly opening. This is one for the books, people. We hung out that evening with others from Canada, including two people from Kelowna who were there independently from the RMT group (small world), a girl from Germany, a group of Irish hurling players and a really rad guy from Australia. Megan and I tuckered out relatively early and left the rest of them to go bonkers for the night. Tomorrow we hit the road for Linares and Las Mulas, and we can’t wait to see what is coming next! Have my thoughts delivered to your electronic mail box.